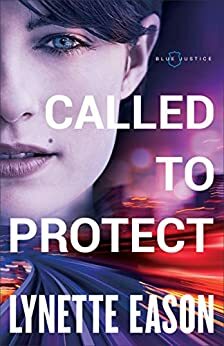 Called to Protect is definitely a book for our times. I have been hearing more and more about human trafficking on the news and this book brought it home to me. I can understand now how it can happen and how I can become more aware. It might happen to someone you know of, no matter where you are from. I was impressed with all the charactors but Blake's daughter stood out. She was so brave, in spite of the scary circumstances. She cared so deeply about her friend. The main focus was on the good and evil but God's salvation plan is mentioned. Sometimes a book just speaks Christian without mentioning it too much and this was one of those times for me. The romance was there but it took a back seat to the suspense and mystery of who and why. What a page turner! This book was given to me by Revell. I was not required to write a positive review.